I am waiting for some new 2mm milling cutters to arrive before I tackle the steam passages in the triple, so I decided to apply some finishing touches to the Bolton 7 boiler. The aluminium castings on the ends were removed, and painted with a high temperature engine paint. While the boiler was in pieces I connected the steam exhaust pipe from the engine to the boiler chimney. The before shot. 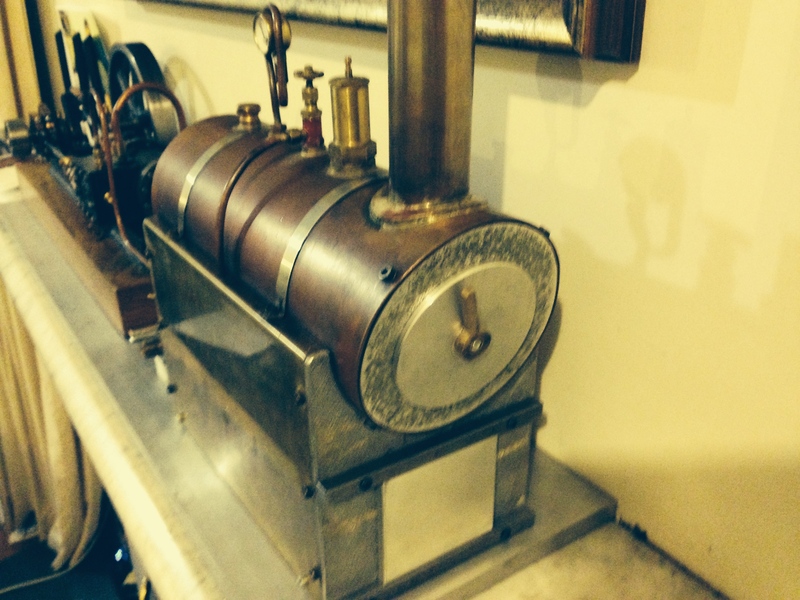 The engine and its boiler are sitting on a mantelpiece in our living room. It looks better with the ends painted matt black, yes? 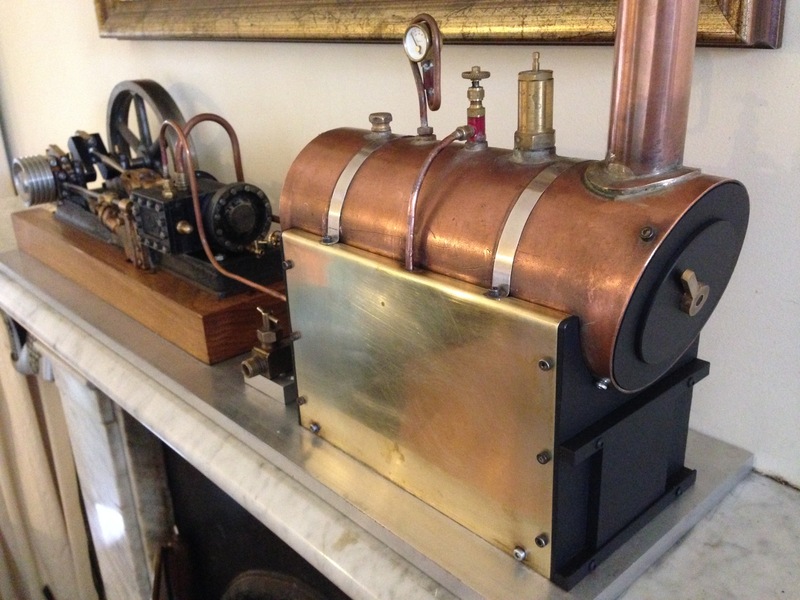 I suppose that I should have also painted the brass sides and copper boiler, but I really like those metal colours. Looks great. You did the right thing. Good day John, It really looks great!! I am considering getting Engine 7 and Boiler. I have completed a number of PMR projects and started on their #6BI engine, I am sure boiler 7 will also drive this engine, your comments will be appreciated. The plans, castings, and machining notes for the Bolton 7 are excellent. The boiler is so simple, that if you can silver solder, notes are hardly necessary. It is a very nice model. My wife is happy for it to be on the living room mantelpiece, and one of my daughters has asked for it to be willed to her! Best of all, it runs very nicely on steam. ps. contact me if you need any advice. However, Kelly Mayberry at EJ Winter is very knowledgable, and helpful. I have contacted them and waiting for response. Oh yes I have a couple of good ones setup also and one is living in my dining room lol. What’s your email address? I can mail you a few photos. my email is jviggers@iinet.net.au, and you are very welcome to contact me on that address or through this WordPress site. It would be excellent if you attached your pictures to a reply on this site, so other readers can see them. Incidentally, Kelly Mayberry at EJ Winter is a one man show, so there is sometimes a delay in his responses. But he does always eventually reply. Just be patient.